No one has time to bake and assemble a gingerbread house these days. There just isn't enough time to do it all. But, what we all remember most about gingerbread houses and the holidays, is the fun of decorating. The pure enjoyment and excitement of playing with icing, candies and other creative decorations and placing them on your gingerbread house, each piece adding to a happy memory. 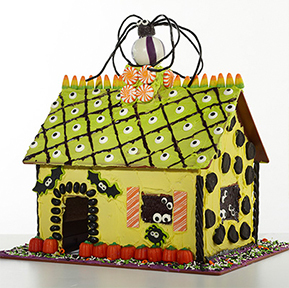 The Candy Cottage® makes those great memories possible once again...without the baking..and without the assembly. Ready to decorate, right out of the box. Simply snap it together, grab some icing, a couple of your favorite candies and let the decorating begin! And it's reusable - for any reason or season! For Holidays. Well, Christmas anyway! Best known as a Christmas tradition, the gingerbread house can come in many different varieties that celebrate the Season. 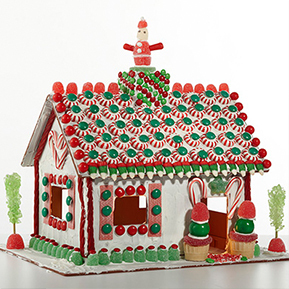 And, with The Candy Cottage®, you can make perfect Christmas memories with your family. Shop Now ...every Holiday is a Candy Cottage Day! Every holiday is a memory waiting to happen...from bunnies at Easter to sweet scary things at Halloween, and of course, the happiness of Valentines...let your imagination make each day one to remember. Shop Now Any day is a decorating day! Decorating for Holidays, Birthdays and other special days is a great way to build a memory with your family, but how much fun can you have on a rainy Saturday? 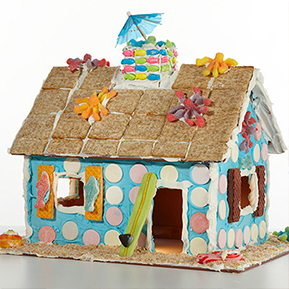 Grab a Candy Cottage and build some memories, where the fun starts - Decorating! IN STOCK. FREE SHIPPING. Orders Ship Within 1 Business Day Any Season! Any Reason! HOLIDAYS. BIRTHDAYS. EVEN SATURDAYS. Copyright © 2014 Cottage Products LLC. Ecommerce Website By Volusion.